Restore and Smooth! 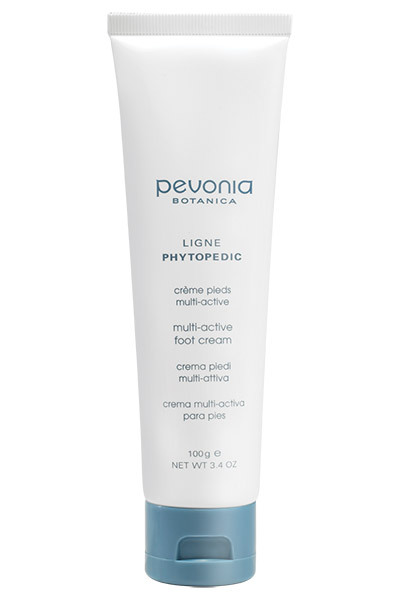 Keep your feet deodorized, hydrated, and replenished with Multi-Active Foot Cream. Antibacterial, this homogenized cream contains a precise combination of Salicylic and Glycolic Acid to prevent epidermal thickening on your soles. Deeply moisturizing, it softens hardened, rough areas, rendering your feet restored and smooth. Use morning and evening on thoroughly cleansed and dried feet and massage well until completely absorbed. For best results, use in conjunction with the Callous-Free Foot Dry Oil. Great foot cream that treats thick heel skin and softens everything up. This product is amazing, it rejuvenates your feet and makes them feel fresh and awake. After a long hard day on your feet, this is the product you need to start the relation process. I massage this amazing cream into my feet and after it has been absorbed into my skin my feet feel silky and soft. You don't want to stop massaging it in it feels so relaxing. Disadvantages: So sad when product runs out.